History:The company was founded in 1847 by British industrialists Reagly and Hooper and produced the steam machines. In 1916 former attorney L.Michelson acquired it. At that time the plant produced a range of hydraulic presses, mine elevators, bridge construction cranes and other equipment. In February 1917 the company was nationalized and renamed into Vladimir Ilyich Plant. During World War II it was produced here defense products such as first reactive shells. After WWII the company produced all-purpose and special-purpose AC motors, movable electric power generators, welding units, household washers and electric cookers. Since 1980 the company have been producing solid-state lasers for industrial purposes, crystals for lasers and electron accelerators. 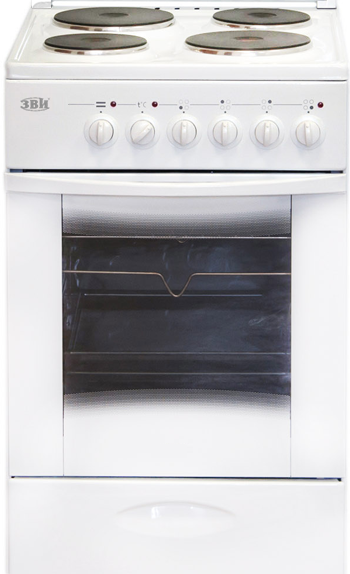 Since 1985 after reconstruction and expansion product line the company have been producing stationary electric cookers, cooking tables and hob elements under the "Thomson" and "CEPEM" (France) technology. In 1992 the company was privatized and at the present time exists in form of Public Joint Stock Company. All stocks are belonged to the private investors – company's employees. Organizational Structure: "ZVI" PJSC set up and controls two production companies "ZVI INTER Ltd." Limited Liability Company and "Electro ZVI" Public Joint Stock Company. "Electro ZVI" manufactures AC motors. 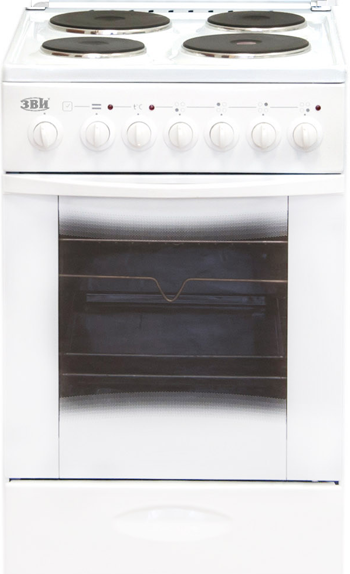 "ZVI INTER Ltd." manufactures stationary household electric cookers, cooking tables, hob elements and tubular heating elements. Public Joint Stock Company «Electro ZVI» has been producing induction motors under «ZVI» brand since 1947. Types of the motors produced are the three-phase induction motors with squirrel-cage rotor and of the three-phase induction motors with wound rotor. Motors are manufactured with rated output power from 37 up to 400 kW. Series consist of 3 shaft heights: 280, 315 and 355 mm and rotation speed from 500 up to 3000 min-1 with the mechanical protections IP23 and IP54. General use induction motors with squirrel-cage rotor are intended to drive the pumps, blowers and compressors. General use induction motors with wound rotor are installed as driver of the conveyers, wood cutters, braking machines, presses. Special use induction motors are produced for driving the escalators, cutters, balancing machines and cooling towers. PJSC «Electro ZVI» produced also the frequency-adjusting drivers. The thyristor based drivers provide smooth starting work conditions of the induction motors and protect the power devices against overloading. 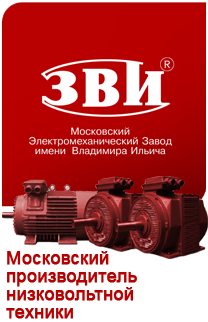 The «ZVI» induction motors are manufactured in compliance with Russian Federation standards basing on IEC standard and covered with the Guarantee of Manufacturer. the automatic press "BENELLI" (Italy). Production division for plastic casting is equipped with 12 automatic machines for thermoplastics with injection capacity of 63-2000 cm3, intended for production of parts for its own needs and cooperation. Mounting production division disposes of multipurpose installations for motors mounting. In the division for insulation and winding production it is possible to produce wire winding of rectangular and circular cross-section on the winding machines without mechanical loops placing. Production features: Oven production line; production line assemblage; automatic inspection posts by BOUCHET(France); automatic warehouse for components and finished goods by IBL System (Yugoslavia); flexible technology of electric cookers assemblage for different models of cookers; high effective technology of powder painting , powder enameling, electrochemical facing , glass-ceramic tops assemblage line, own fan motors production. 120 000 cooking tables per year. Manufacturing time: 384 stationary cookers per shift; 400 cooking tables per shift. Hob elements have been producing in two modifications: regular and rapid. Voltage are : 220, 230,240 V AC. Rapid hob elements (marked with red circle in the center) have higher consumption power and are equipped with high temperature protector . 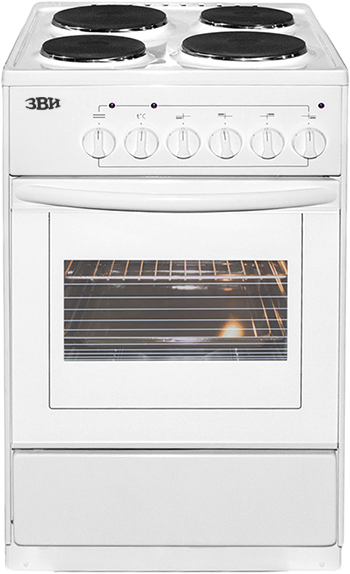 Rapid hob elements save 20% of heating-up time. Electric cast iron hob elements were tested by IEP (Instituto Electrotecnico Portugues) and were recognized its in comply with EC Directives 73/23/EEC and 93/68/EEC(BT). Based on these test report ZVI Inter Ltd. emitted the EC Declaration of Conformity. Straight shaped plug type connector 6,3 х 0,8 mm . Tubular electric heating elements for static and ventilated air were tested by VDE Testing and Certification Institute (Germany) and were recognized its in comply with EC Directives 73/23/EEC (including amendments). Based on these test reports ZVI Inter Ltd. emitted the EC Declaration of Conformity and were authorized to use the VDE mark on tubular heating elements.